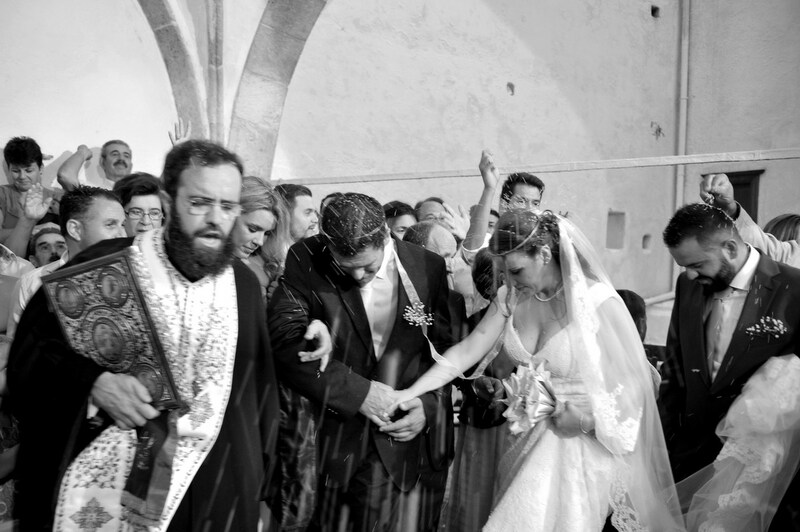 Dafni & Lefteris have a romantic story from the years of high school...Their love proved to be strong and so on a Saturday evening they got to Ipapantis' church in Hydra for their wedding and baptism of their little girl. Friends and relatives were there to share these special moments...And even when a storm broke out it wasn't enough to spoil these. A party followed and they celebrated until daybreak... Next day photo shooting took place at Molos beach with the sun and the sea allied in unique pictures showing their love and feeling relaxed they even swam with their wedding gowns! I would like to thank especially the couple for this amazing photo experience! Hope you will enjoy them as much as I did!